Rick Powers called in with this report for the New Sea Angler. 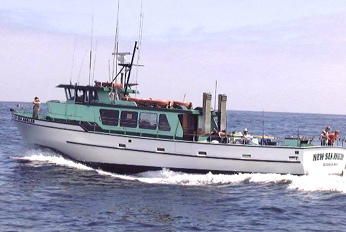 "The New Sea Angler had 13 anglers out on a Dungeness Crab/Rockcod/Lingcod Combo trip. All 13 anglers had full limits of good quality Rockfish. Coppers, Browns, Black Rockfish, some Vermillion Rockfish all good variety, good quality. We also had full limits of Dungeness Crab to 3 lbs. That's 78 Dungeness Crabs along with 6 Lingcod to 11 lbs. "We'll be out again tomorrow, Saturday & Sunday with room available. 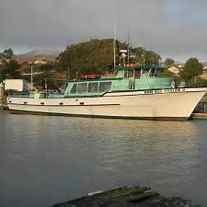 If you are interested in information or reservations call 707-875-3495."